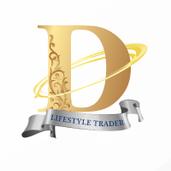 About me Started my self-taught trading journey in the FX market since 2009, I have started my career in the FX market as a chart analyst, a trainer, a coach, a speaker, as well as a fund manager and trader. USDCAD has been ranging within a 1-month symmetrical triangle but has breached the bottom since the beginning of this week The price has made significant retracement and we are seeing a bearish Gartley in progression. As the dollar has turned bearish while the oil price continues to climb, USDCAD will no doubt stands a high chance for a strong bearish trend.